The process of selling your home is incredibly emotional. The good news is that you’re not alone. 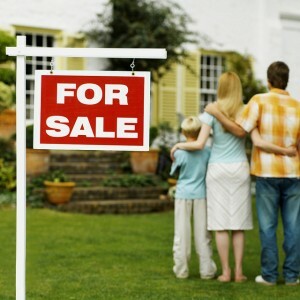 Millions of people have fallen victim to their emotions when selling their homes. This list will help you predict — and better yet, avoid — some common home seller mistakes. Take this scenario: A seller feels overconfident about their home’s prospects on the current market and lists their home higher than comps. Soon, the home has been on the market for days or months, and that overconfidence morphs into panic — panic that their home will get only a lowball offer, or that the property won’t ever sell, or worse, that they’ll be stuck in the property and have to alter their plans. You can see how the snowball gains momentum. What can the home seller do but sit and hope their home becomes more attractive to buyers? Here’s a better remedy: Cut the price. The home will become more compelling to buyers, and some sellers have actually found that reducing the asking price leads to multiple offers. Work with your real estate agent to look at comparable homes in your area and find out how long most homes stay on the market. Youragent will know if and when you should reduce your price based on comps. Yes, this is the place your kid took her first steps in, the place where you carried your bride over the threshold, maybe even the place your parents built with their bare hands. But when you decide to sell, it also becomes a property and an asset that must be marketed and priced. It may sound harsh, but buyers don’t care about the emotional value your home holds for you.